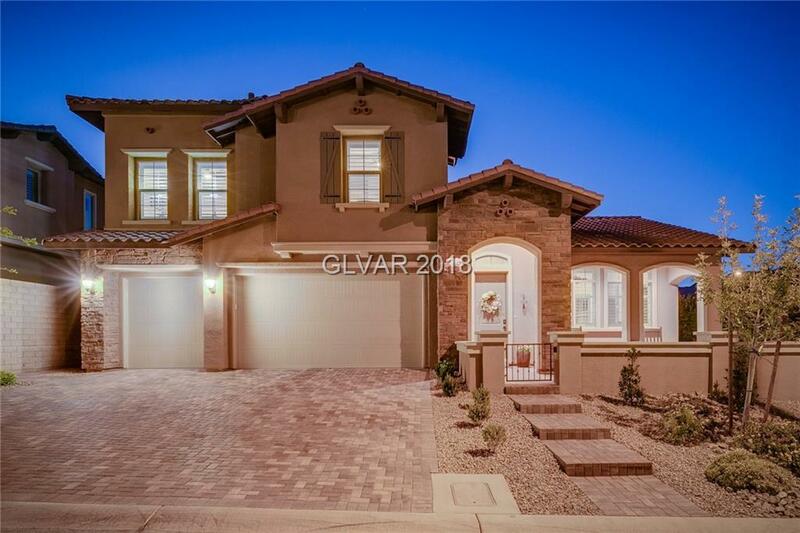 Stunning Summerlin home w/360 degree views from rooftop deck. Upgraded chef's kitchen, dual stacking glass doors from dining room & family room lead to secluded outdoor living space w/built in fireplace, covered paver patio, designer built-in BBQ, & synthetic lawn. One bed, one full bath down. Two bed plus large master w/en suite bath & custom walk-in closet upstairs. Wood-like tile in main living spaces, carpeted bedrooms with upgraded padding.